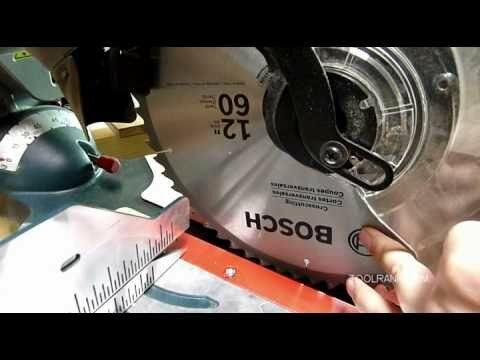 I have wanted to write a review for the Bosch Axial Glide miter saw for a while now, but the saw has so many features, that I thought It would be best to just do a video review. It looks like Bosch really took their time to make sure everything was done right, this not only includes the things you would expect, like bevel and miter controls, but even the smallest of things are done right. 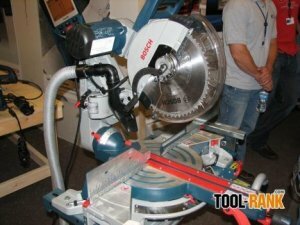 The Bosch GCM12SD miter saw is great, and is probably the best 12" saw on the market. I do a lot of millwork installation, and I have used just about every miter saw on the market today, so I have experience with all of the different saw brands and styles. So what sets the GCM12SD apart? The upfront bevel controls, the smaller saw footprint (thanks to the axial glide system), and all of the other quick acting user controls (fence, table extensions, material clamp). However, like most tools on the market, it does have its flaws. The saw is heavy at 65 lbs, so either get a good miter saw stand with wheels, or make sure you have an apprentice if you need to move it. The saw is also tall and top heavy, and I am still not a fan of the bevel and miter gauge markings that Bosch uses. But like I said, the saw is a winner, with the good far out weighing the bad. I go into greater details about the saw, what is has to offer and what I dislike in the video below, so be sure to check it out. There is no question the Bosch Axial-Glide miter saw was and still is a game changer. The Axial-glide mechanism not only drastically reduces the footprint of the saw, which is great for shop use as well as jobsite use, but it is also the smoothest gliding saw I have ever used. Bosch thought outside of the box with the saw's engineering, and it payed off. - Now just make it lighter.